Happy June! summer is soon approaching, I’m excited are you? This week I want to talk about concealer. Concealer can be your best friend when a blemish steps on the scene. First lets take a look at the purpose of concealer. It is to be used as a corrective tool, and to highlight the face when contouring. When you’re using it to cover a blemish or pimple it’s best to use a color that best matches your complexion. The goal is to look like you don’t have any make-up on at all. I like to apply it with my finger, it warms the product up naturally and it makes it easier to apply. When I use it to highlight I use a concealer brush. It’s totally up to you on which way you want to go. With so many concealers on the market how do you pick the right one? Well there is really no other way than trying a couple out and then picking the best one that goes with your skin. The good news is most make-up can be returned or exchanged so if it doesn’t work out you can try another one. It also depends on how much coverage you need. If you are hiding dark circles I would suggest using a corrector first, then your foundation and a concealer on top of that. Be sure to set your concealer with a finishing powder so it doesn’t crease. If you want to use it as a high light you won’t really need a heavy concealer because your’re not trying to hide a blemish. I have narrowed down my favorite concealers which I believe you may like as well, and they are all reasonably priced 🙂 sounds like a win to me. 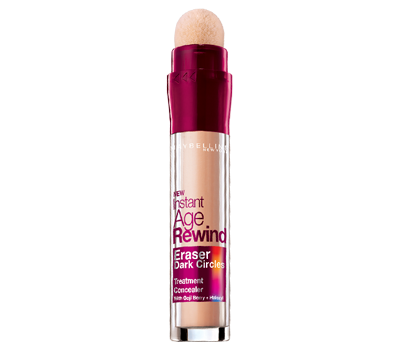 3.Instant Age-Rewind Concealer by Maybelline- Yes another product by Maybelline. I have to admit they are probably my favorite drugstore brand makeup. The applicator on this is like a plush ball that glides on the skin, very gentle.This product claims to erase fine lines, puffiness and dark circles instantly. Now thankfully I don’t suffer from those issues so I can’t say if it does do those things, but I can say itbrightens under eyes immensely. So if you’re tired or looking to brighten your face I recommend adding a little right beneath your eyes. This product retails for a mere $9.99. It can be purchased at your local drugstore, Wal*Mart, or Target. Here is the direct link to the website Maybelline. 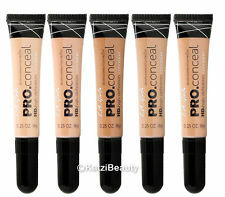 4.M.A.C Pro long-wear Concealer- This concealer is the bomb! (do people even say that anymore?) 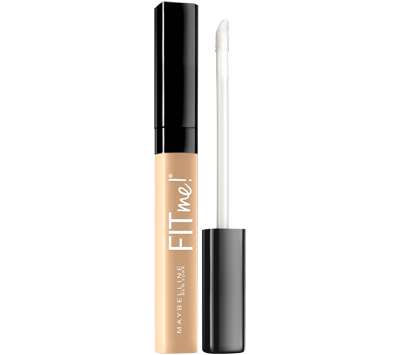 If you want to hide anything, this is the concealer to use. It is full coverage and you only need a pin size amount; the phrase “a little goes a long way” was meant for this product. So if you’re heavy handed use with caution. I break this out when my face really wants to act up. Makes me look flawless every time! There is also so many colors to choose from, even for cool and warm undertones. It’s a little more expensive than the others but believe me it’s totally worth it. Retail value $20.00. A few things to keep in mind when using concealer. If you wear primer, and foundation may I suggest putting those items on first before your concealer. 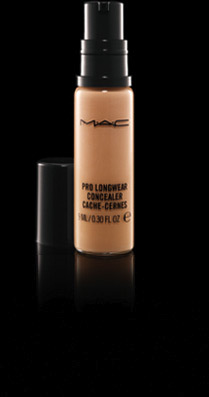 Sometimes when you use concealer first it can be rubbed away when applying the other products. Or you can leave the areas where you’re going to apply the concealer bare while applying the foundation so you don’t A. make that area of the skin to heavy with make-up and B.Rub off any concealer that you were using to cover a blemish. I hope that makes sense lol. Also if you have a pimple that you want to cover up, you will still have the pimple once the concealer is on there, it designed to hide discoloration and blemishes; it can’t make bumps, and scars go away.